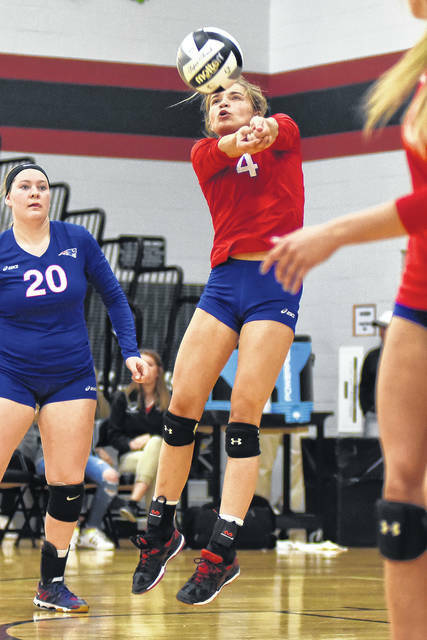 Maddie Downing (7) gets a tip over point for Tri-Village Wednesday night during a match with Southeastern in the Division IV sectional tournament at Covington. 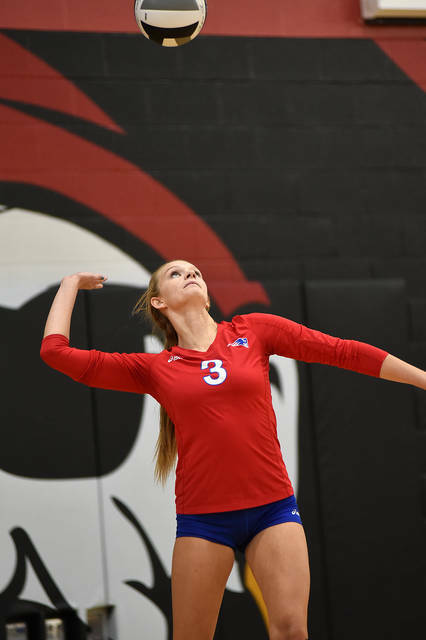 The Patriots lost to the Trojans in four sets. 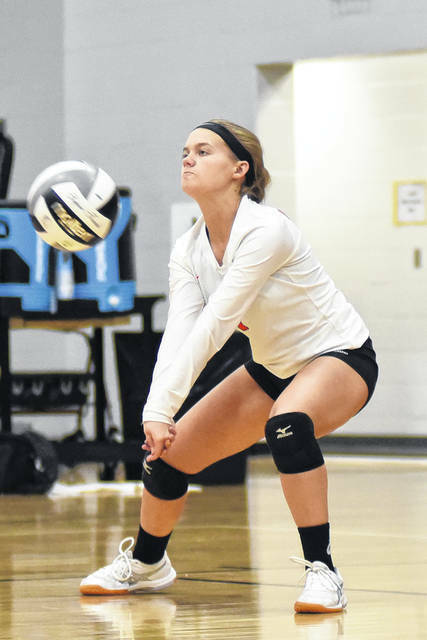 Bradford’s Bianca Keener (14) gets a kill against Fort Loramie on Wednesday night in the Division IV sectional tournament at Covington. 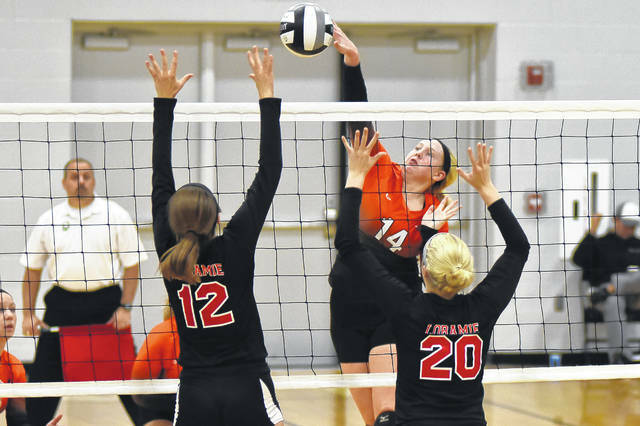 The Railroaders fell in straight sets to the Redskins. 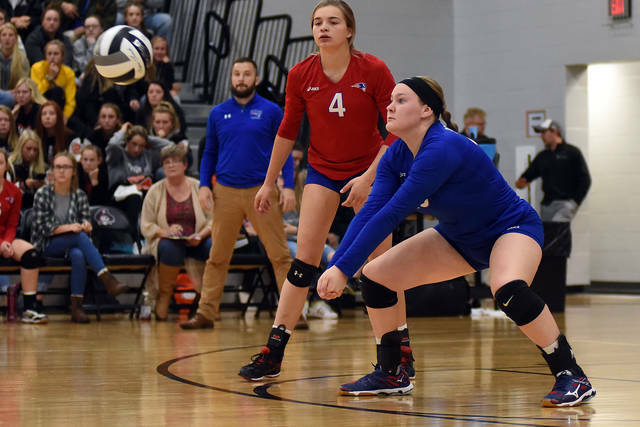 COVINGTON – Wednesday was a disappointing night for two local volleyball teams as both Tri-Village and Bradford were eliminated from the Division IV sectional tournament in first-round matches at Covington. The Patriots entered the tournament as a No. 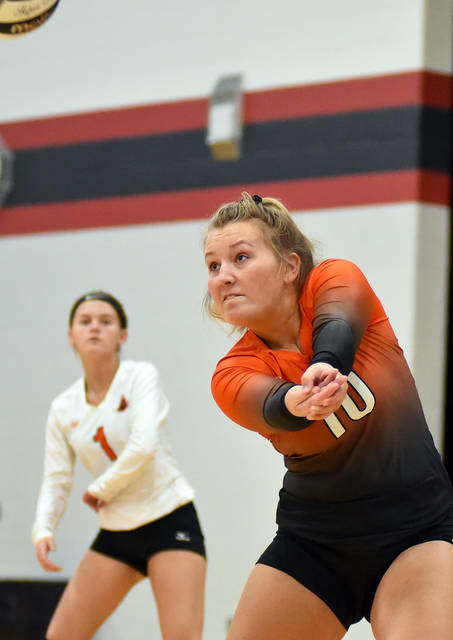 5 seed taking on 11th seeded Southeastern, but the Trojans played a very “smart game,” according to TVHS coach Chris Brewer and knocked Tri-Village out of the tournament in four sets, 25-21, 23-25, 25-13, 25-23. “They are a good team and we knew they were a good team,” Brewer said. “They are very smart and very court aware of where to put the ball. The kind of stuff they are doing is going to be good against a lot of teams so credit to them. They played hard. 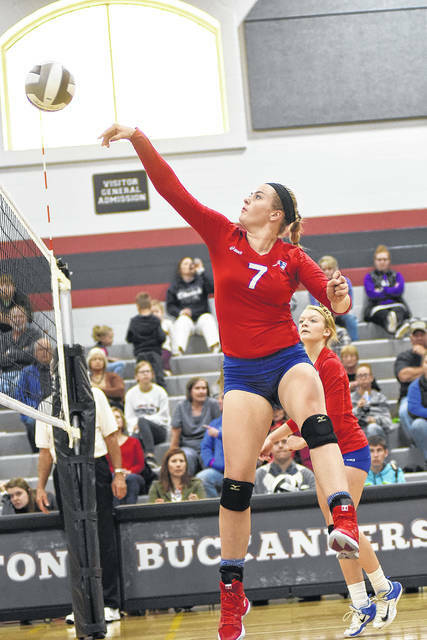 Tri-Village fought back after losing the first set 25-21 to get the second set 25-23 and tie the match. 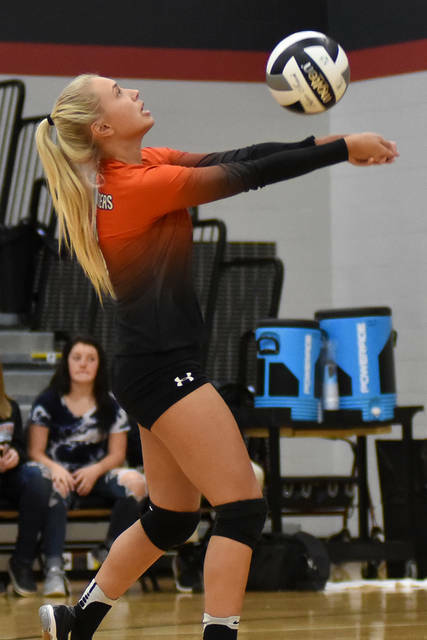 A strong third game was going to be key for whomever would win the overall match and it was the Trojans who capitalized with a 25-13 win. 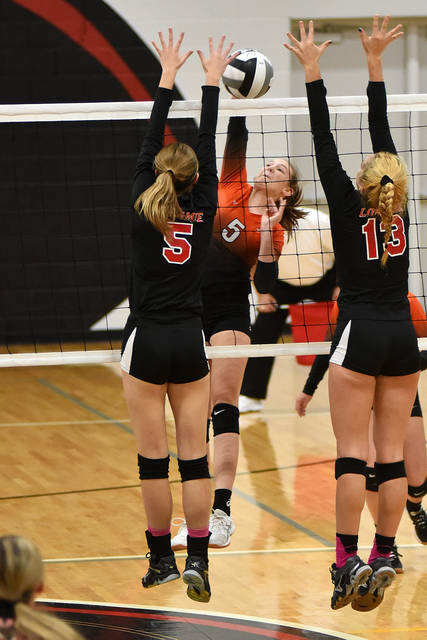 The Patriots didn’t quit though and kept the fourth set close until the very end. 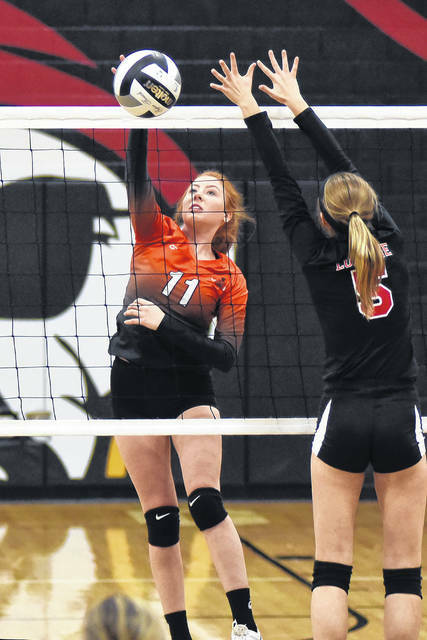 “We had a little lull in the third game when we didn’t play the best,” Brewer said. 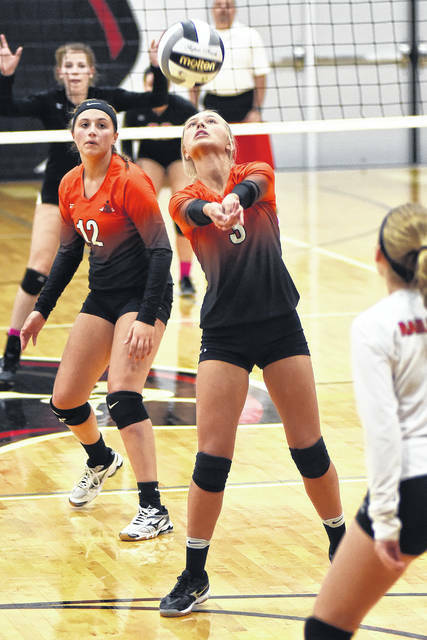 “We dug a hole in the third set and the fourth set, but in the fourth game we dug out of it. We fought back and played hard all the way to game point. That’s what I told them. They don’t have anything to hang their heads about. They played hard all the way through and as a coach and a player that’s all you can ask for. 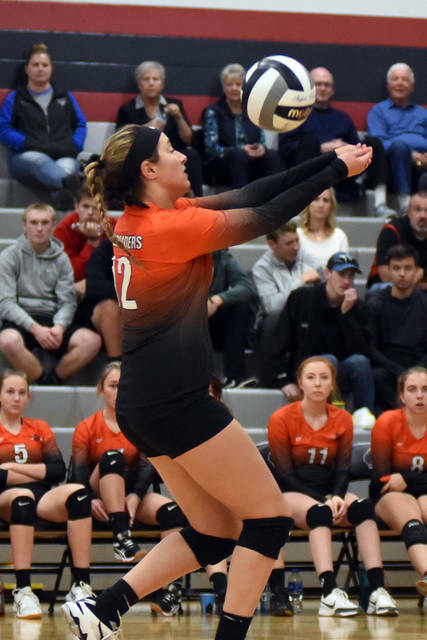 The Railroaders had to face sixth-seeded Fort Loramie in the first round and lost in straight sets 25-5, 25-11, 25-14. 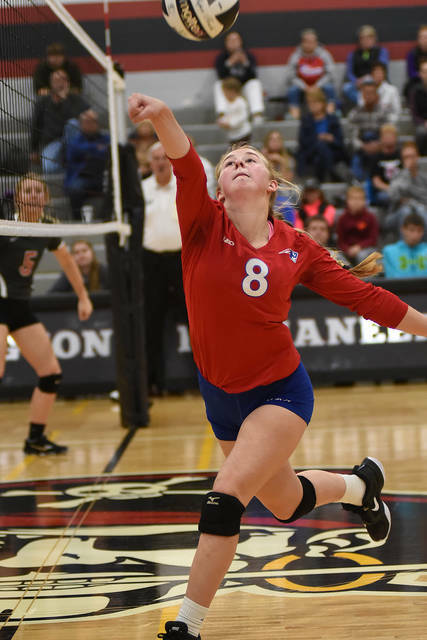 This entry was tagged Bradford Railroaders, CCC, SWDAB, Tri-Village Patriots, Volleyball. Bookmark the permalink.